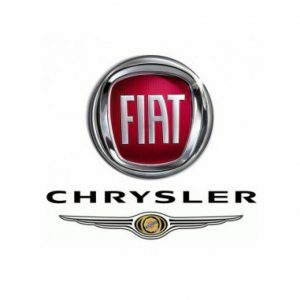 The U.S. Department of Justice is filing a civil suit against Fiat Chrysler (NYSE:FCAU) for violating the Clean Air Act. The DoJ released an announcement Tuesday stating that they will be filing the lawsuit against the company. The lawsuit has been filed in U.S. District court in Detroit. The DoJ opened a probe against the carmaker in January related to excess diesel emissions. The company is accused of illegally using software to bypass emission controls in 104,000 diesel vehicles sold since 2014. Fiat Chrysler has denied wrongdoing. The lawsuit asserts the undeclared auxiliary emissions controls led to “substantially” higher than allowable levels of nitrogen oxide pollution. Nitrogen oxide pollution is linked to respiratory problems and the formation of smog. The lawsuit asks a court to bar Fiat Chrysler from selling vehicles with excess emissions compel the company to fix the vehicles. The lawsuit also asks for unspecified civil penalties. Fiat Chrysler said in a statement that it was disappointed the Justice Department was taking this action. The company said it would vigorously defend itself against claims “it engaged in any deliberate scheme to install defeat devices to cheat U.S. emissions tests.” Fiat Chrysler shares fell in New York trading Tuesday following the news. Its shares were more than 0.9 percent lower at $10.66 by 11:30 EST. The U.S. Environmental Protection Agency is also investigating the company over claims that it failed to disclose engine management software in its vehicles and whether that software constitutes an emissions defeat device. The company’s internal emails and other documents have raised significant questions regarding engine development and emissions issues. They are investigating whether the software is designed to defeat the diesel emissions tests that are required by many states while not actually meeting the standards of these tests. The lawsuit comes amid growing scrutiny of diesels by regulators around the world. An earlier probe of Volkswagen AG that affected a much larger number of vehicles will cost VW up to $25 billion. In September 2015, Volkswagen admitted to installing software allowing its cars to emit up to 40 times legal pollution levels. The regulators’ investigation of Volkswagen prompted the government to review emissions from all other passenger diesel vehicles. The company has made plans to update the software, believing that action will resolve U.S. regulators’ concerns about excess vehicle emissions. British authorities say that they have requested information relating to the probe from their American counterparts.